It's been a while since I've done one of these updates, so I'll split it into two sections. Today is just the Gorillas Riding Dinosaurs columns from the past month. Along with Jane Yolen's Foiled, we talked about four First Second books in a row. I thought Booth was an informative, but flawed - mostly in regards to its storytelling, but I also thought the art could've been more dynamic - look at Abraham Lincoln's assassin. 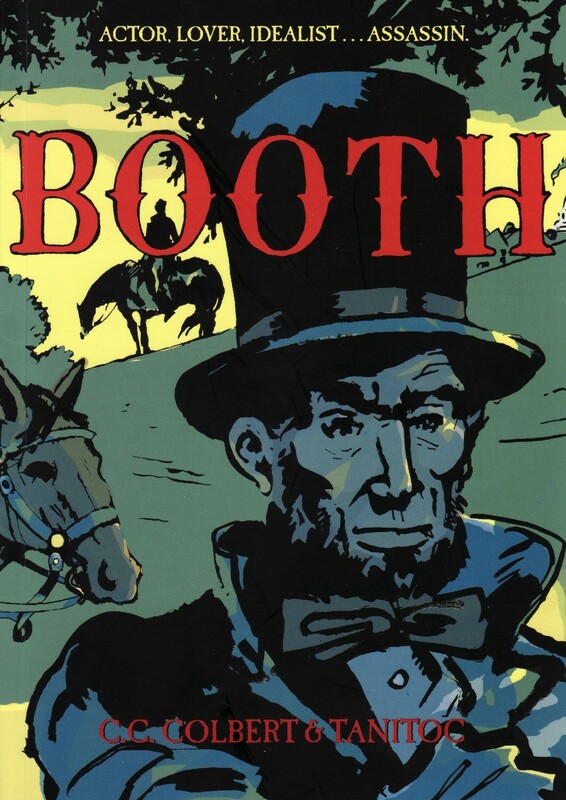 CC Colbert is the pseudonym for historian Catherine Clinton and Booth is not only her first graphic novel, but her first fiction work as well. That shows, but it's still an interesting account that made me curious to learn more. Comic Book Resources also interviewed Clinton about the book and her research on it. 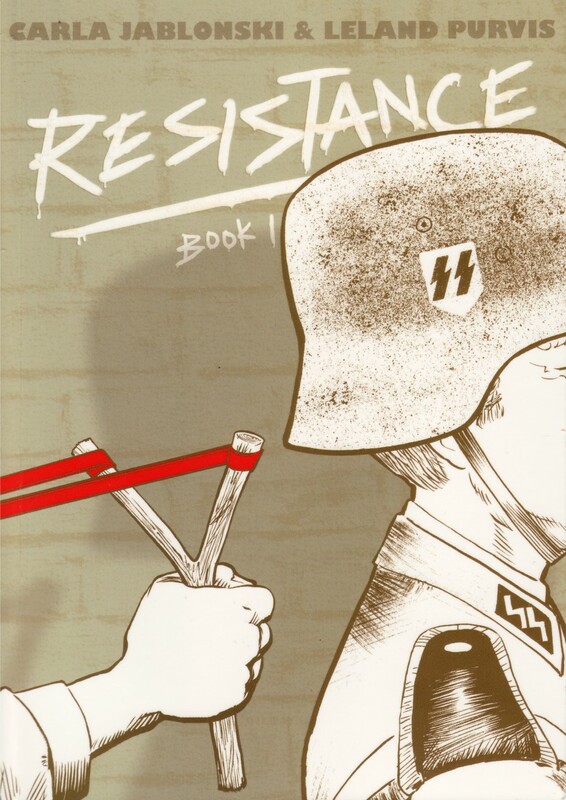 I enjoyed the first volume of Carla Jablonski and Leland Purvis' Resistance a lot more. It's the story of some kids who get caught up in the French Resistance and learn to work effectively against the Nazis. There are at least two ways you can tell this story. You can either make it a fun, adventure-filled romp or you can realistically highlight how scary it would be for real children to be put in that situation. Either of those choices could make for a great story, but I was surprised and pleased that Resistance chose the second of them. And even more pleased that it did it so well. The other choice (and a whole bunch of other adventure comics) after the break. In City of Spies, Susan Kim, Laurence Klavan, and Pascal Dizin choose to take the kids vs Nazis theme in the other direction, but it's every bit as good as Resistance. It's a fast-paced, adventurous story set in 1940s New York and has the kids fighting German spies instead of SS soldiers, but it's not exactly light-hearted. 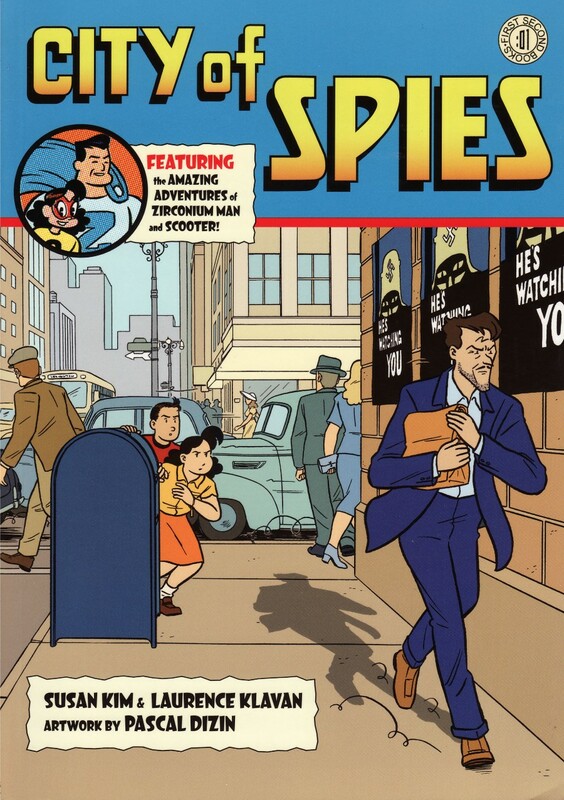 Certainly more so than Resistance (though even that book has some nice, comedic moments), but the wonderfully developed characters in City of Spies are dealing with some deep themes and asking us to wrestle with them too. I highly recommend both it and Resistance as two, extremely different, but equally effective ways of handling the same concept. 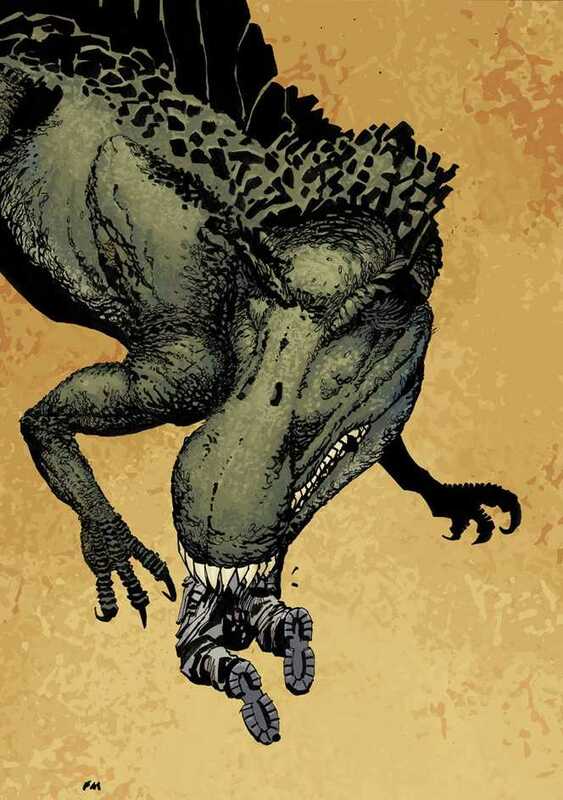 Interesting new adventure comics for June include a post-apocalyptic monster-fighter, Flash Gordon, pirates, Zorro, werewolves, dinosaurs, bears, a mermaid, an alien-punching valkyrie, a sea monster, a woman samurai who fights Jack the Ripper, robots of doom, and more.